Get ready for an incredible cycling adventure with the new Chumba Ursa 29+ bikepacking bicycle! The Chumba Ursa 29+ is an American-made mountain bike designed specifically with bikepacking in mind. Its wide 29plus tires make it great for cycling on dirt and gravel roads as well as on narrow single-track trails. 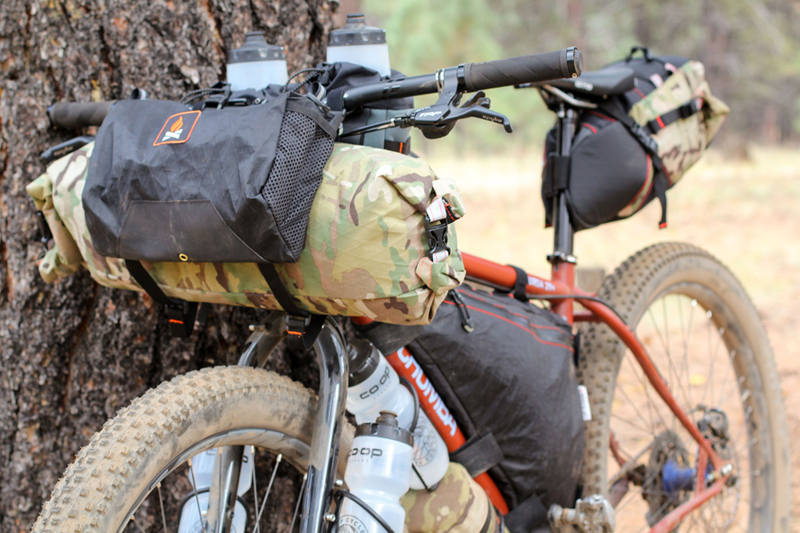 The fact that the Ursa’s frame is fitted with more than 24 eyelets means you can outfit the bike with a complete set of bikepacking bags, up to 5 water bottle cages, and even a front or rear rack like you might find on a more traditional touring bicycle. Plus, the Chumba Ursa is one of the most comfortable and fun bikes you will ever ride – a bicycle that can go practically anywhere and do almost anything! 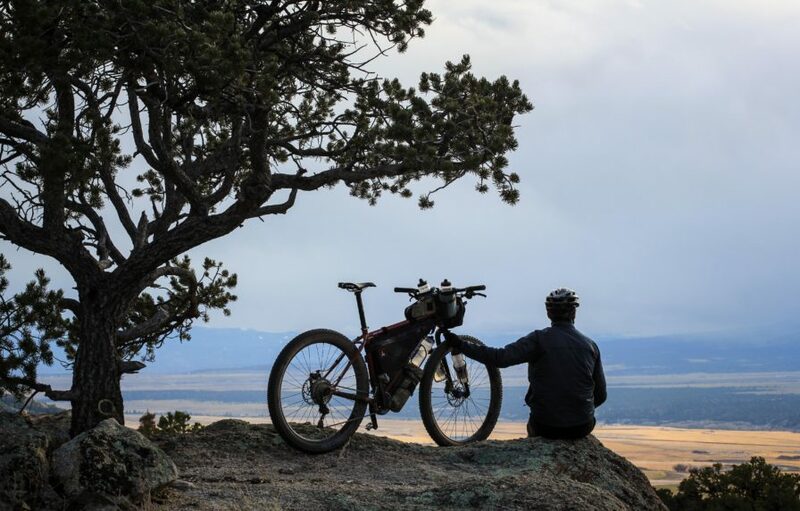 Listen to the audio podcast below to learn about Chumba USA (the American company that makes the Chumba Ursa 29+) and discover what it is that makes this specific bicycle so well designed for off-road bikepacking adventures. 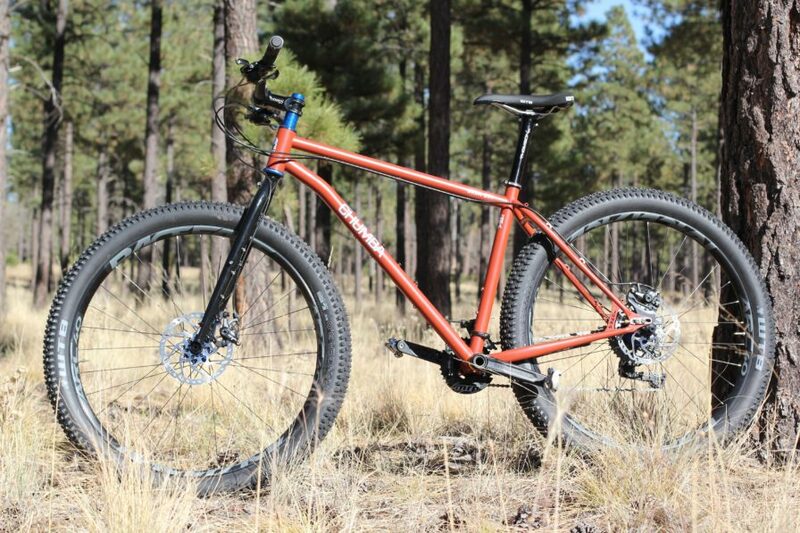 After you’ve listened to the podcast, be sure to visit the official Chumba USA website to learn more about the Chumba Ursa 29+ Backcountry, see the full specs and components used on this unique bicycle, and order a Chumba Ursa of your very own. I recently acquired a new Chumba Ursa 29+ Backcountry for my own bikepacking and bicycle touring adventures and I used the Ursa for the first time on a recently completed bike/van trip across the American Southwest. During my first two months with the Chumba Ursa, I cycled through Flagstaff, the Grand Canyon and Monument Valley in Northern Arizona; did some single-track riding in the mountains outside of Buena Vista, Colorado; and I did some serious off-road exploration in Santa Fe, Albuquerque, Los Alamos and Chaco Canyon in the state of New Mexico. I’ve also done some additional bikepacking trips in the mountains north of Los Angeles (near Big Bear Lake) in Southern California. It’s been 6+ months now since I first got my new Chumba Ursa 29+ and I think I’ve had the bike long enough now to tell you why I wholeheartedly recommend this unique mountain bicycle if you’re the type of person who’s interested in conducting your own bikepacking adventures. The thing that stands out most with the Chumba Ursa 29+ is the fat 3-inch wide tires you find on the front and rear end of the bicycle. These babies are massive… and because they’re so wide, they make cycling through dirt, leaves, sand, snow and other soft surfaces a total joy. In situations where your standard 26 inch or 27.5 tires might require you to get off and walk your bike, the wide 29+ tires on the Chumba Ursa allow you to keep cycling through even the softest situations. And because the tires on the Chumba Ursa are so big, it means rolling over rocks, branches and other objects in the road/trail is a breeze, because the wheel rolls almost effortlessly over these obstacles. My first time riding the Ursa, I couldn’t believe how smooth the ride felt. Cycling on a gravel road, for example, I could hardly feel the rocks rolling underneath me as I pedaled. As long as you have the air pressure set properly, you can expect your time on the Chumba Ursa to be a whole lot more comfortable than on most other bikepacking bicycles currently on the market. Another great thing about the Chumba Ursa 29+ is that the bike comes equipped with Maxxis Chronicle tubeless tires. These tires basically patch themselves, meaning you can ride over a cactus, thorns of various kinds, and even small nails or shards of glass, and you’ll be able to keep cycling without having to stop and put in a new tube. These kinds of self-healing tubeless tires are becoming standard on most high-quality mountain bikes these days, but when it comes to a long-distance endeavor like bikepacking, the tubeless tire feature becomes even more important. Having owned my Chumba Ursa 29+ for more than 6 months now, I’ve yet to have any problems with my tires. If I have run over any thorns or pieces of glass, they haven’t slowed me down in even the slightest. I hate changing flats, so I’m loving these tubeless tires! The thing I like most about the Chumba Ursa 29+, and the reason I wanted to get this bicycle over any other, is because the Ursa comes equipped with more than 24 different eyelets that are spread across the frame and fork of the bicycle. These eyelets are used for mounting water bottle cages, the Salsa Anything Cage (which can be used to carry accessory bags, a large water bottle, camping gear, or anything else you can think of), a front or rear rack, or anything else you can imagine mounting to the frame/fork of the bike. The fact that there are so many different eyelets means you can truly customize the configuration of the Ursa to fit your personal needs and desires. For example, in the photos of my bicycle on this page you can see that I’ve mounted two water bottle cages to the side of my fork. If I wanted to, however, I could swap those two water bottles out and opt to carry two small accessory bags there instead. Or, if I wanted to, I could mount a rear rack on the back of the bicycle and carry two large panniers in that position. Heck, I could even put a rack on the front of the bicycle and carry a whole mess of gear on that rack as well. There are countless different ways you can configure the Chumba Ursa! If you’re new to bikepacking or have not yet purchased a set of bikepacking bags for your bicycle, you might be wondering if the bags you purchase for your bike are going to fit properly. After all, no two bikes are designed the same. Each bicycle has a different size triangle and not all bikes will work with every bikepacking bag on the market. 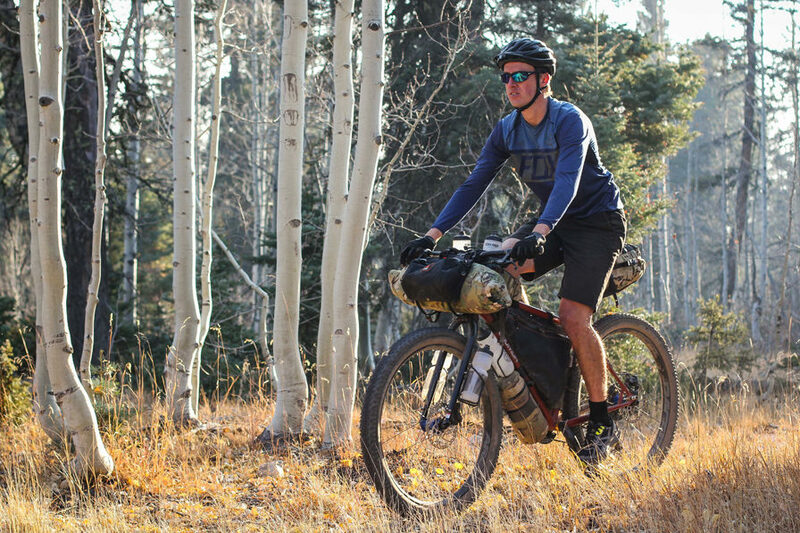 Lucky for you, you can purchase a new Chumba Ursa 29+ from Chumba USA and rest assured that the Wanderlust Gear bikepacking bags you get to match your new bicycle are going to fit. That’s because Chumba USA (the company that makes the Chumba Ursa) and Wanderlust Gear (the company that makes the bikepacking bags you see in my photos on this page) are one and the same. Chumba USA and Wanderlust Gear are two separate companies, but they’re owned by the same individuals and operate under the same roof in their headquarters in Austin, Texas. 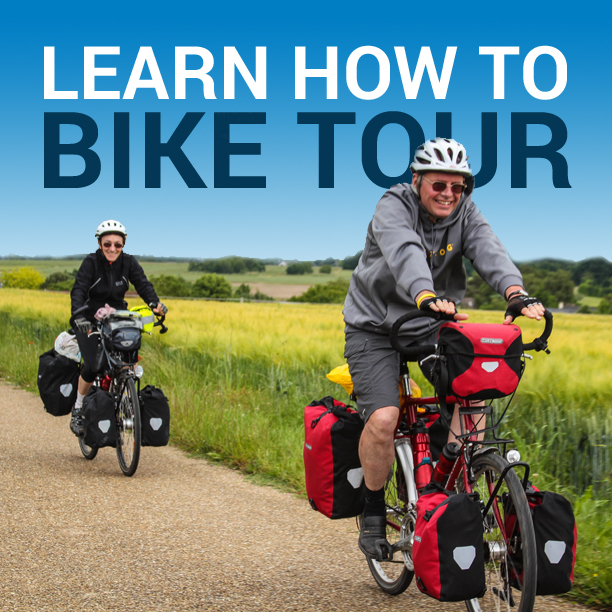 What this means is that when you purchase a bicycle from Chumba USA and you purchase a new set of Wanderlust Gear bikepacking bags to match, you’ll be sure to get a set of bikepacking bags that have been designed specifically with your bicycle in mind. Finally, the Chumba Ursa 29+ is a super fun bike to ride. The frame dimensions are perfect, the handlebars are wide enough to offer several hand positions and provide you with excellent control on both dirt/gravel roads and on windy single-track trails. Plus, the saddle that comes with the Ursa is perfect for long days on the road (firm to the touch, but with a decent amount of give). In the end, the Chumba Ursa 29+ Backcountry bicycle may look, at first, like a highly specialized mountain bike designed only for a specific type of riding (i.e. 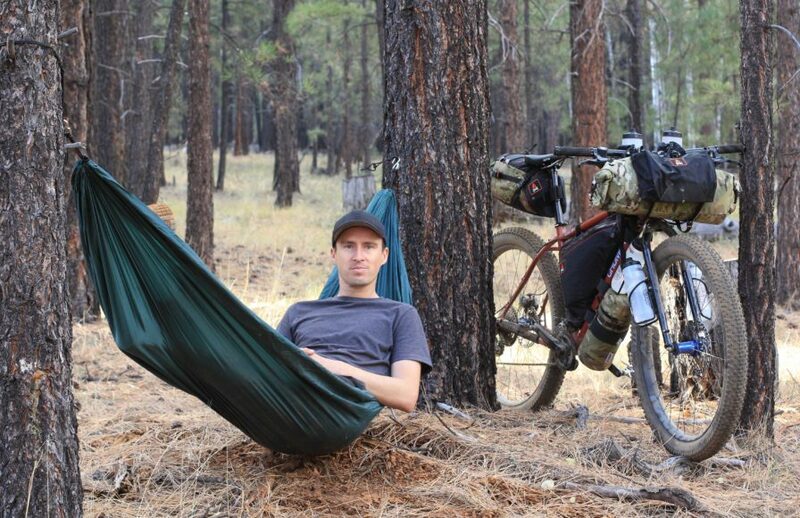 bikepacking), but the Chumba Ursa 29+ is a whole lot more than that. The wide 29plus tires on the Ursa don’t make it the greatest bike to ride on paved roads, but if you’re looking for a mountain bike that can do a little bit of everything in an off-road environment, then the Chumba Ursa 29+ is a bicycle you can count on! This entry was posted in Bicycle Touring Pro Articles, Bicycles, Featured Articles, Main Articles, Main Featured Articles, Podcast, Product & Service Reviews, Uncategorized and tagged 29 plus, bikepacking, bikepacking bicycle, bikepacking mountain bike, chmba ursa, chumba, chumba 29+, chumba ursa revew, mountain biking, mtb, ursa.